DB21085I Instance "db2inst1" uses "32" bits and DB2 code release "SQL10010"
Product is installed at "/opt/ibm/db2/V10.1". Enabling write barriers incurs a substantial performance penalty for some applications. Specifically, applications that use fsync() heavily or create and delete many small files will likely run much slower. You are recommended to disable I/O barrier at mount time using the -o nobarrier option for mount on ext3 and ext4 file systems. 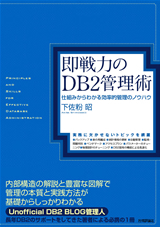 DB2_RESOURCE_POLICY should be disabled if SLES11 SP1 is used. If DB2_RESOURCE_POLICY needs to be enabled, use SLES 11 GA or any DB2 supported SLES 10 Service Packs.